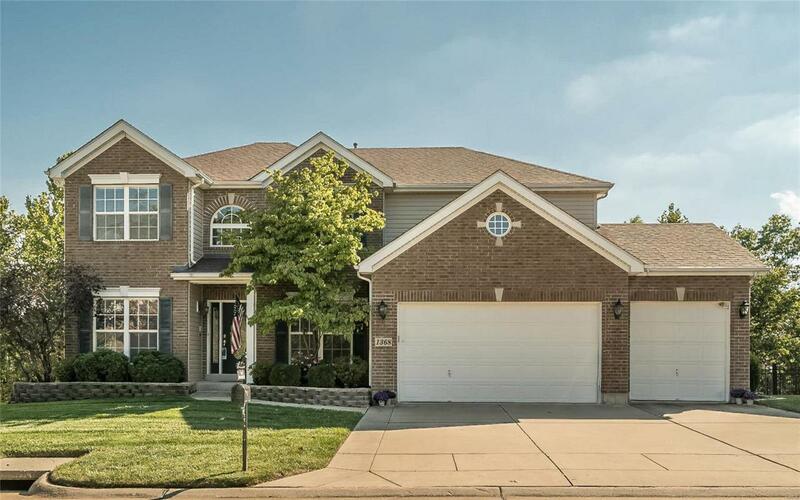 Gorgeous 2 story w/open floor plan, 4 beds/2 full/2 half baths. 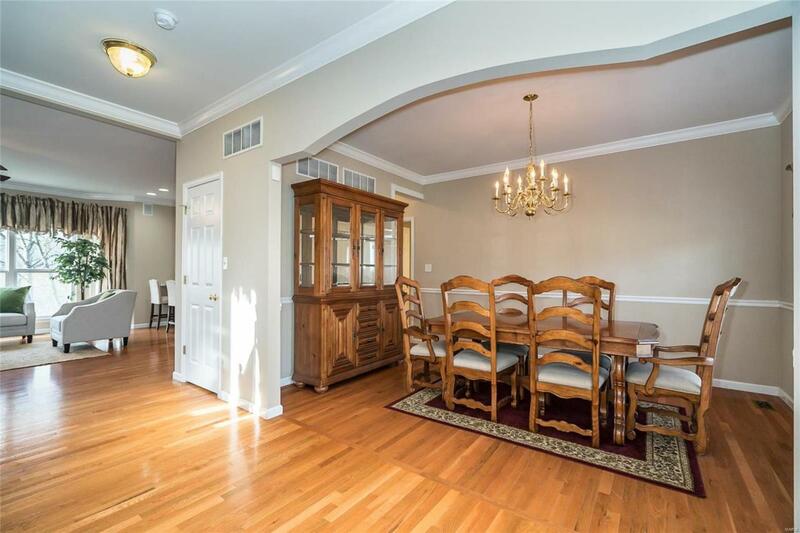 Enjoy all the excellent features this home has to offer: crown molding, 9 ceilings (main level), recessed lights, surround sound, custom finishes, security & sprinkler system. 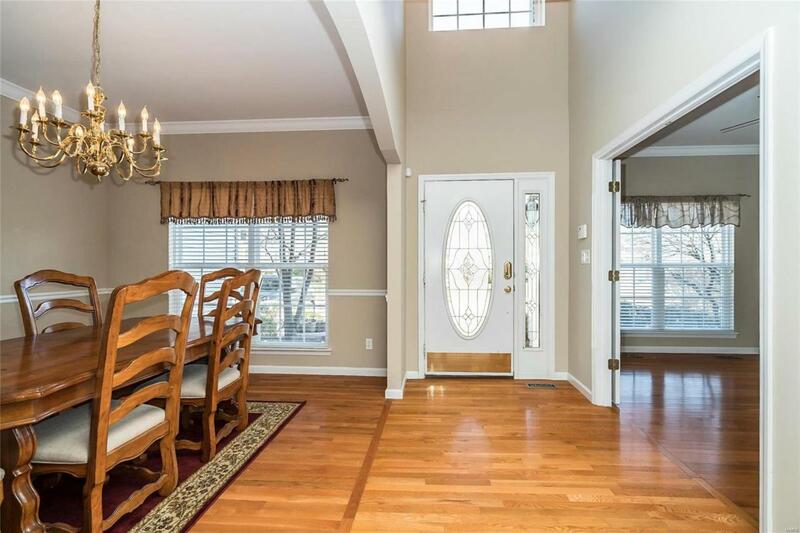 Kitchen w/42 maple cabinets, under-cabinet lighting, center island/breakfast bar, double ovens, pantry, butlers pantry/desk, breakfast rm w/dry bar, wine rack & adjoining hearth rm with floor-to-ceiling stone fireplace, cathedral ceiling & windows w/transoms. Family rm w/built-ins. Mud rm w/cubbies & seat. Spacious master bdrm suite w/sitting area, 2 walk-in closets (1 w/laundry area) bathroom suite w/double vanities, jetted tub & sep shower. 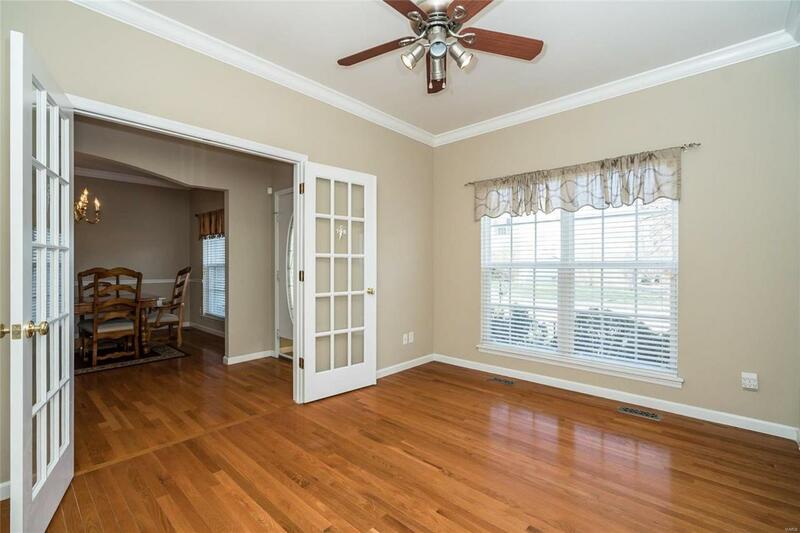 3 addl bedrooms & full bath w/double vanities complete the upper level. Fabulous finished walkout LL w/full bar & media area w/stadium seating, plus half bath. Beautiful deck, patio & retaining wall overlook the wooded backyard. 3 screens in basement, media system & stadium-style leather recliners included.